In the world of Kameron Hurley’s The Mirror Empire, where magic users draw their power from one of three heavenly satellites, a dark star is rising, one whose ascendance heralds a time of cataclysmic change and war between realities. For Lilia, who crossed from one world to another in childhood, fleeing the wrath of an alternate, militaristic version of the peaceful Dhai culture she now inhabits, this means discovering her mother’s hidden legacy before it can destroy her. For Akhio, the younger brother and now unexpected heir of Dhai’s deceased leader, Oma’s rise brings politicking and treachery, both from Dhai’s traditional enemies and from within his own state. For Zezili, the half-blood daijian general of matriarchal Dorinah, charged by her alien empress with exterminating the nation’s daijian population, it means an uneasy alliance with women from another world; women whose plans are built on blood and genocide. For Rohinmey, a novice parajista who dreams of adventure, Oma brings the promise of escape – but at a more terrible cost than he could ever have imagined. And for Taigan, a genderfluid assassin and powerful omajista bound in service to the Patron of imperial Saiduan, it means watching cities burn as invading armies walk between worlds with the aim of destroying his. How many realities are there? Who can travel between them? And who will survive Oma’s rise? The Mirror Empire hooked me in from the very first page. 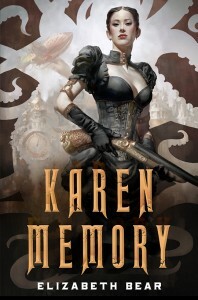 The Mirror Empire, the first volume of the Worldbreaker Saga, is Hugo Award-winning writer Kameron Hurley’s fourth novel, and from the minute I first saw the blurb, I knew I had to read it. 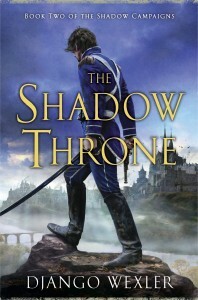 The entire concept – backstabbing politics, polyamorous pacifists, violent matriarchs, sentient plant-monsters, doors between worlds – is basically my personal catnip, and when you throw in my enjoyment of Hurley’s first novel, God’s War, my expectations at the outset were understandably high. Which is ordinarily a risk factor: the more I invest in a story beforehand, the more likely I am to wind up disappointed. 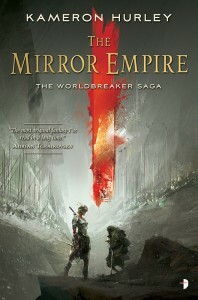 But The Mirror Empire, with its sprawling, fascinating mix of original cultures, political wrangling – both within the narrative and as cultural commentary – and vivid, brilliant worldbuilding, hooked me in from the very first page. The only reason it took me so long to read, in fact, was a personal reticence to have the story end: I’ve been drawing it out over weeks and months, prolonging the inevitable. 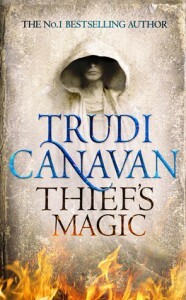 The first book in the Millennium Rule trilogy, Thief’s Magic is set in a different world – or worlds, rather – to Canavan’s previous works, and as such makes a good entry point to her writing for any new readers. In the interests of full disclosure, Trudi is a friend, which means I’m potentially biased; that being said, Thief’s Magic is definitely a book which kept me engrossed on its own merits. On Saturday, April 19th, the 2014 Hugo Award nominations were announced, and I’m proud to announce that A Dribble of Ink is represented in two categories: Best Fanzine and Best Related Work. Alongside The Book Smugglers*, Elitist Book Review, Journey Planet and Pornokitsch*, A Dribble of Ink is in the running for Best Fanzine of 2013. If you’ve followed my writing for any time, you’ll know that I’ve long been critical of this category for dipping its pen into the same inkwell too often, so I’m thrilled to be included on a ballot that is guaranteed to see a new winner.